If you improperly claim tax deductions and credits, you'll find yourself in hot water with the IRS. 1. Can I Claim My College Age Child on My Tax Return? 3. What Deductions Can I Use When Supporting a Grandchild? Even if your college-age child has an income from working, you may be footing the greater part of the bill that pays your child’s living expenses and educational costs. And this amount is multiplied when you have more than one child in college at the same time. Claiming tuition costs and student loan interest deductions for dependents can help reduce your income tax liability so you’ll see more income and fewer taxes. The money you pay for your child’s tuition and interest on education loans is income tax deductible for you if your child qualifies as your dependent. Relationship test. In the eyes of the IRS, a qualifying child can be related to you in many ways, including your daughter, son, stepchild, foster child, sister, brother, half sister, half brother, stepsister, stepbrother or even a dependent of any of these, such as your niece or grandchild. Age test. Your child must be a full-time student who is under the age of 24 by the end of the tax year for which you’re claiming the child as a dependent. A qualifying child must also be younger than you (and your spouse, if you're filing jointly). Residency test. Your child must live with you for more than half the year, except for temporary absences; for example, when a child is away at school. Support test. Your child cannot provide more than half of his own financial support. Joint return test. Your child cannot file a joint tax return with a spouse unless the reason is solely to claim a tax refund. Exclusive qualifying child test. If more than one person can claim your child, you must meet the IRS "tiebreaker rules" as outlined in IRS Publication 17. If you qualify for a tuition and fees deduction, you can claim this deduction as an adjustment to your income without itemizing on IRS Form 1040 or 1040-A by completing IRS Form 8917 (Tuition and Fees Deduction) and attaching it to your tax return. Form 8917 lists some exceptions, including considerations of your marital status and income. For example, you cannot claim tuition fees and student loan interest on taxes if your tax filing status is married filing separately or if your modified gross income is more than $80,000 (if filing single) or more than $160,000 (if filing jointly with your spouse). If you choose to itemize college costs, you can claim a standard deduction allowance, which is the greater of $1,050 or the dependent’s income plus $350. In addition, 2018 is the first year for which you cannot claim exemption allowances for your dependents. For 2017 income tax returns, which you’ll file in 2018, you typically can claim a $4,050 exemption for each of your dependents in addition to any qualifying deductions for tuition fees and student loan interest on taxes. 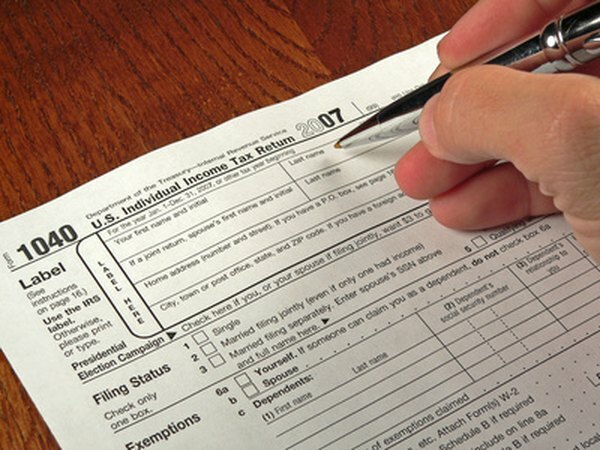 Can I Take a Federal Tax Deduction for My Son While He's Away at College? If I Didn't File My Taxes Will I Get My Child Tax Benefits? Can a Grandmother Take the Earned Income Credit for a Grandchild?